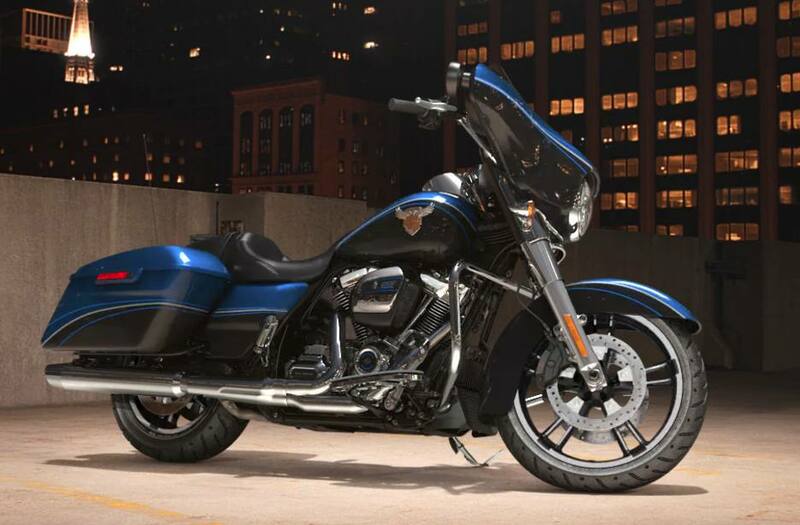 There's a pride that comes from riding the original, and when it comes to the stripped down, hot rod look, that would be the Harley-Davidson® STREET GLIDE®. BOOM!™ Box 4.3 Infotainment System: Powerful and balanced sound for you tunes along with entertainment and communication at your fingertips. Includes Bluetooth® capabilities and a USB port. Batwing Fairing: The Batwing fairing has an iconic shape with a sleek, progressive style that delivers smooth air flow and reduced head buffeting. Seat Height, Unladen: 27.4 in. Weight, As Shipped: 796 lb. Weight, In Running Order: 829 lb. Brakes, Caliper Type: 32 mm, 4-piston fixed front and rear deg. Lauguages: "English (US/UK), German, Spanish (Mexico/Spain), French (Canada/France), Italian, European Portuguese"
Voice Recognition Languages: Phone functions only: "English (US/UK), German, Spanish (Mexico/Spain), French (Canada/France), Italian, European Portuguese"
Voice Recognition Languages: Tuner/Media/Navigation: "English (US/UK), German, Spanish (Mexico/Spain), French (Canada/France), Italian, European Portuguese"
Text-to-Speech (TTS) Languages: "English (US/UK), German, Spanish (Mexico/Spain), French (Canada/France), Italian, European Portuguese"